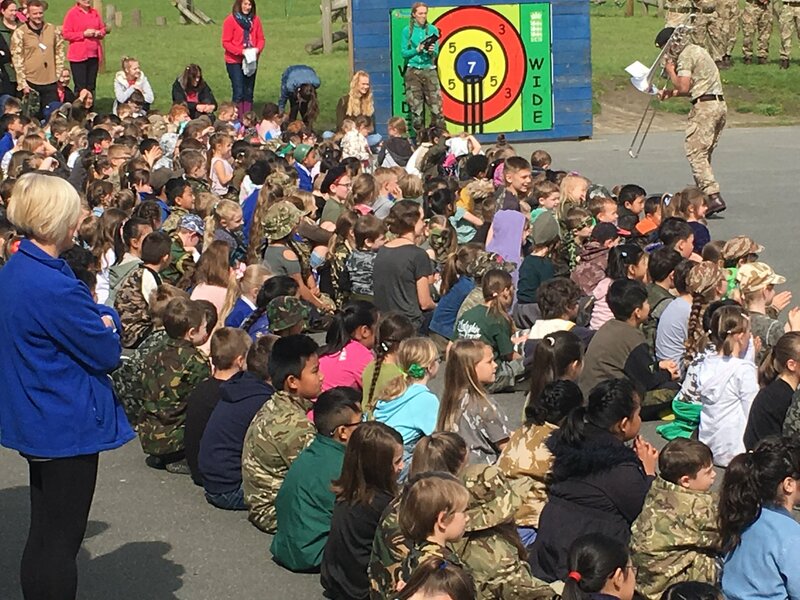 Earlier this week 1 Royal Gurkha Rifles organised a ‘Camo Day’ for Cheriton Primary School in Folkstone. 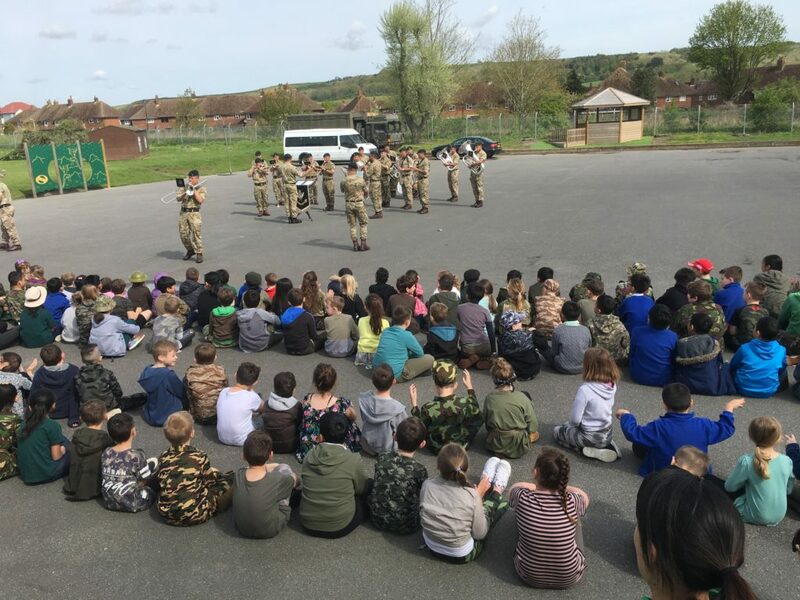 This was a non-uniform day for school children, in aid of Soldiers, Sailors, Airmen and Families Association (SSAFA) supporting the Forces and their families. Donations and collections for SSAFA were made throughout the day. The Band of the Brigade of Gurkhas also got involved entertaining the children with their amazing display of musical skills. 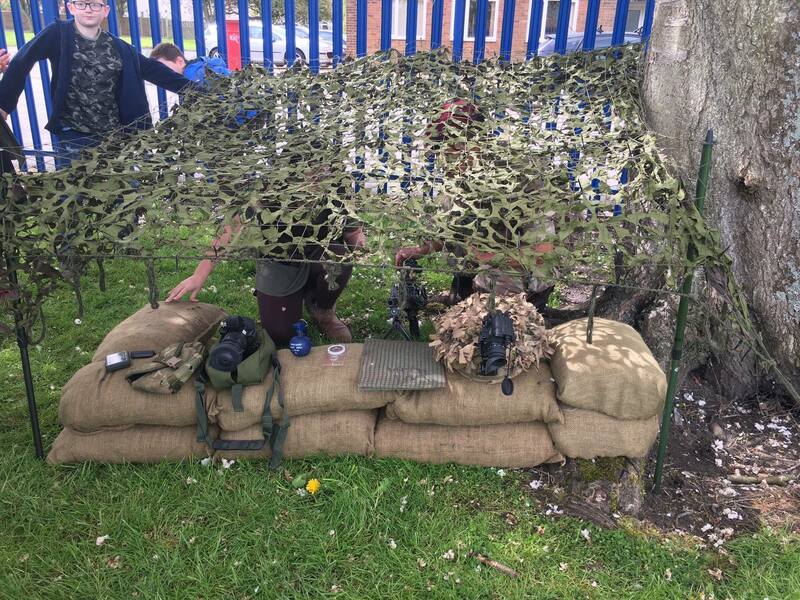 Members of 1 Royal Gurkha Rifles provided a weapons display together with camouflage and camo cream for the children to dress up and use and get them involved with the day’s activities. The feedback from the pupils and school staff was that is was a great day both and entertaining and educational with plenty of opportunities for the pupils of Cheriton Primary School children to participate. 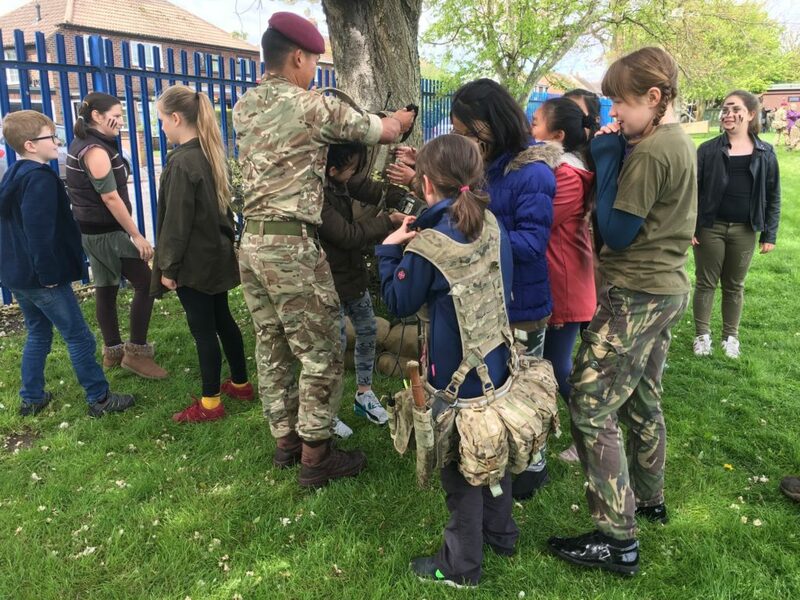 One teacher said; “This was a great experience for the pupils and they could see the diversity with the Gurkhas. The displays were interactive and interesting for all”.